Lisa Braithwaite’s brain is wired to take everyday encounters and experiences and turn them into insights on public speaking, from wine tastings and tattoo artists to the Oscars and drag queens. All become examples or analogies designed to teach a public speaking lesson. 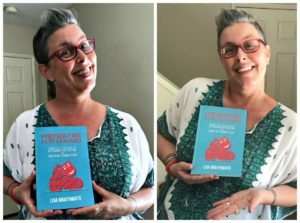 Through short, engaging essays and reflection questions, Lisa challenges your preconceived notions about speaking and encourages you to create meaningful and memorable experiences from every presentation. For anyone looking to make a major impact on audiences and offer them a transformative growth experience, this book is the resource to get you there. To order Presenting for Humans click here.